Public activity since 1989. Has performed in Europe and U.S.A. 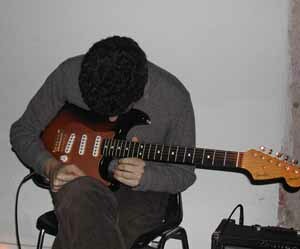 Between 1989 and 1997 he studies and experiments with prepared guitar, mainly acoustic. Since then his interests shifted to the development of a language for fingerstyle electric guitar. Funds the record label ‘Headlights’ in 1998.